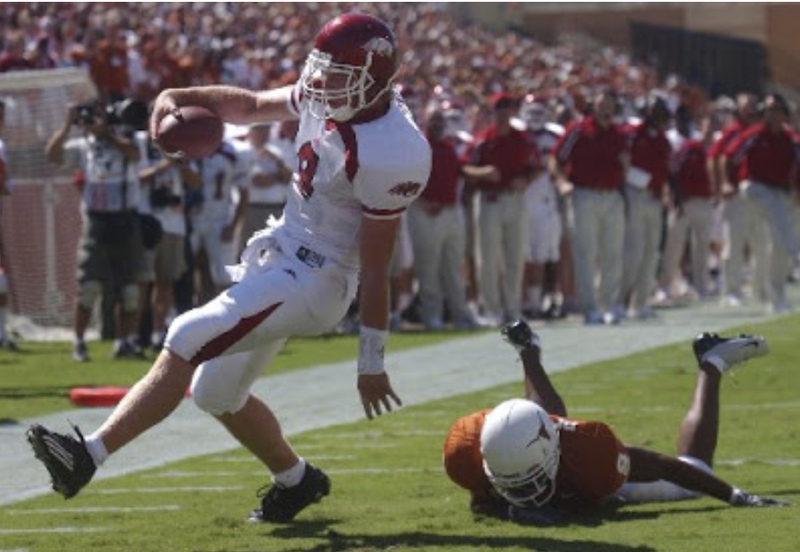 I shot this photo of Matt Jones during the Arkansas vs. Texas Game in 2003. Shortly after it appeared in the paper, an email circulated with a photoshopped hand giving the downed hooke-em-horns sign. I was walking through the mall a few weeks ago and found someone selling my photo… which is actually copy written by the Arkansas Democrat-Gazette…. interesting. Can’t wait to see what happens with this one! Gotta love that place, they sell everyones pix. At least they packaged your with a nice photo of Wesleys’. The one of mine their selling is a crappy lo-res download from the net they have blown-up to 8×10.